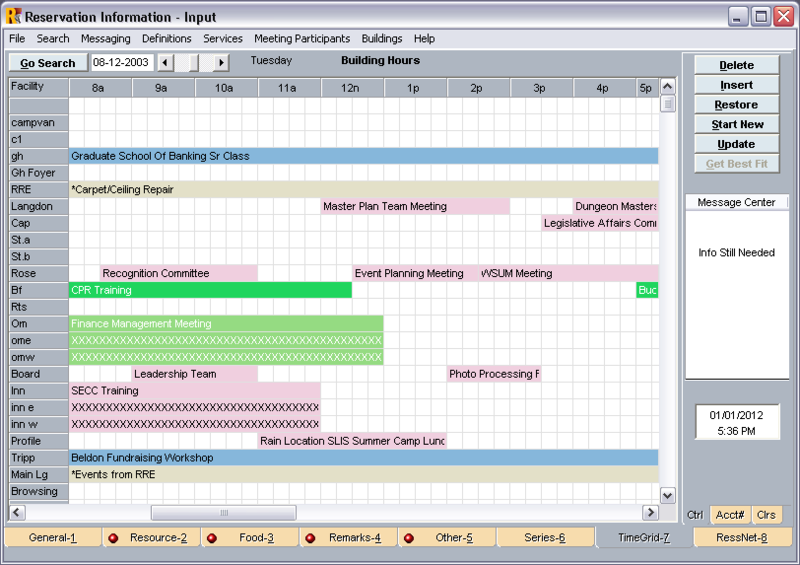 Creating a reservation in RESS often starts with a look at the time grid to determine room availability. 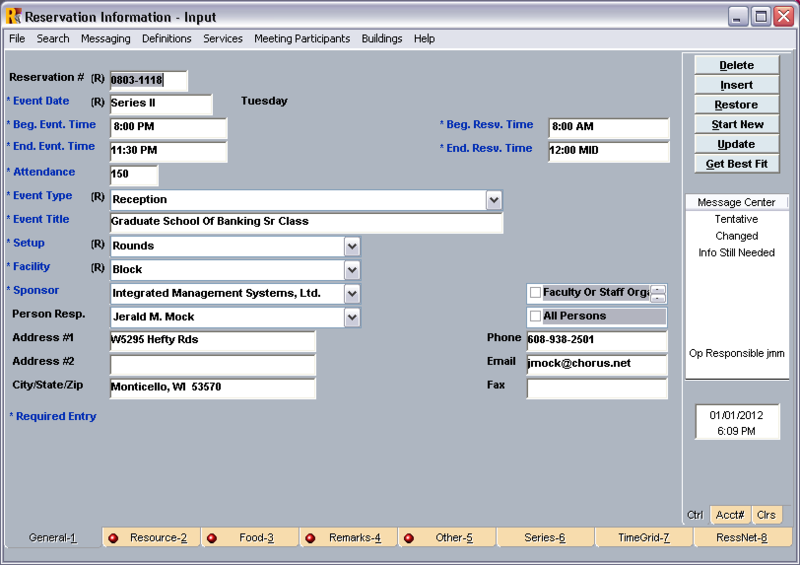 A simple drag and drop could start a new reservation. 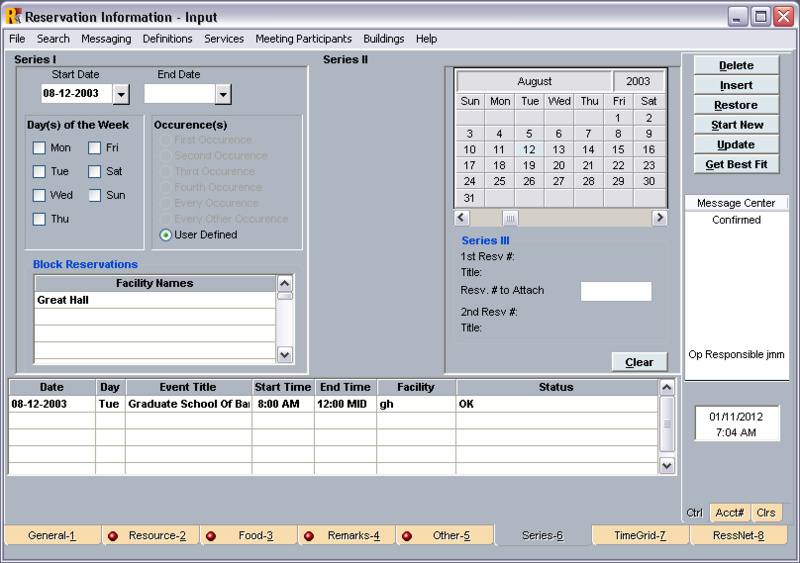 For recurring events you can select an unlimited number of dates in numerous configurations, including multiple rooms. 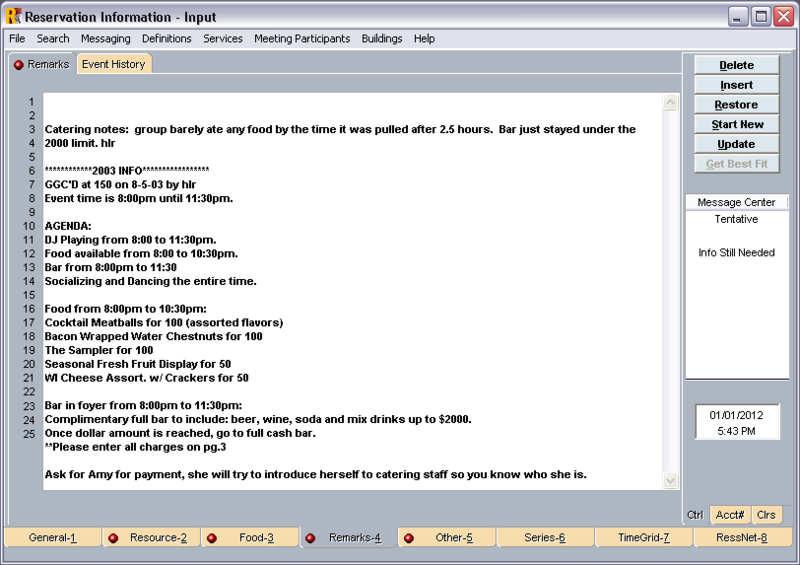 A completed first reservation page might look similar to this. 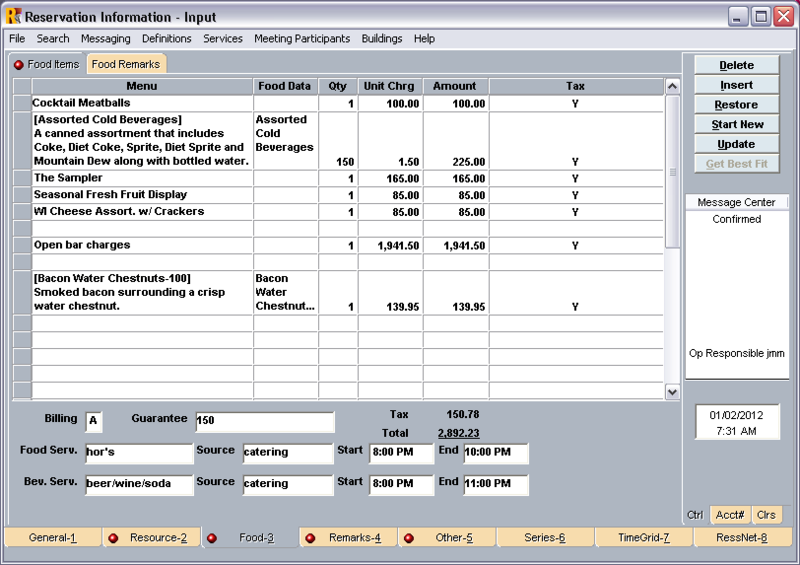 Resources can be selected with just a click with plenty of space to enter other setup information. 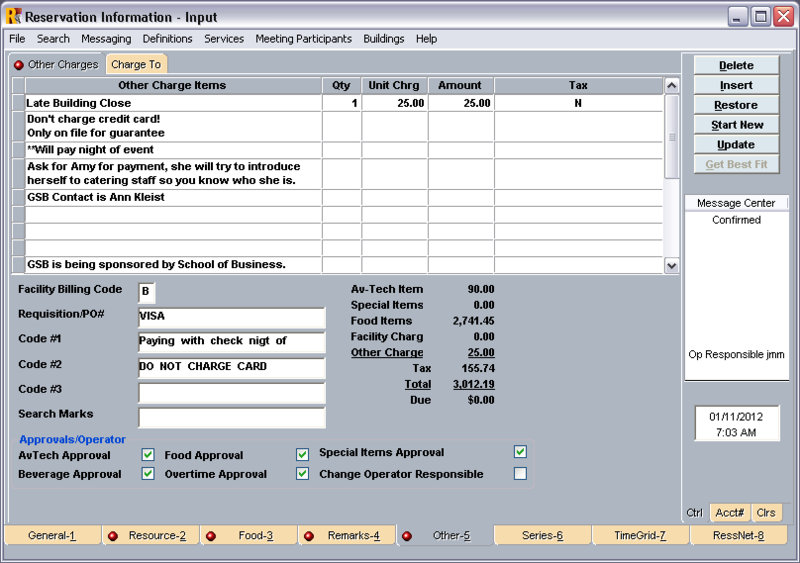 Food items can be selected from the database or created on the fly. 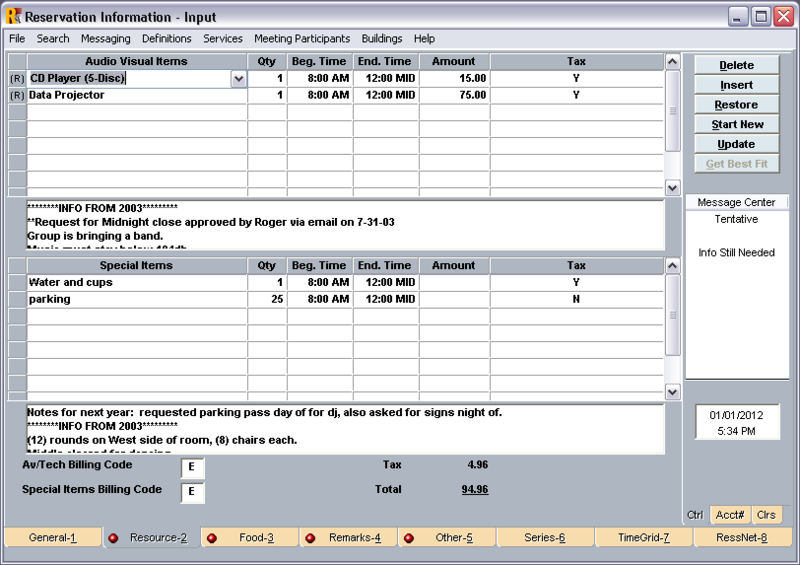 Pricing can be automatic or entered for those items created on the fly. Several sections on the reservation pages are reserved for event information comments. Just in case we didn't provide enough space on all the other pages, we've included more space right here. When RessNet reservations are set to require approval they show on the RessNet tab. 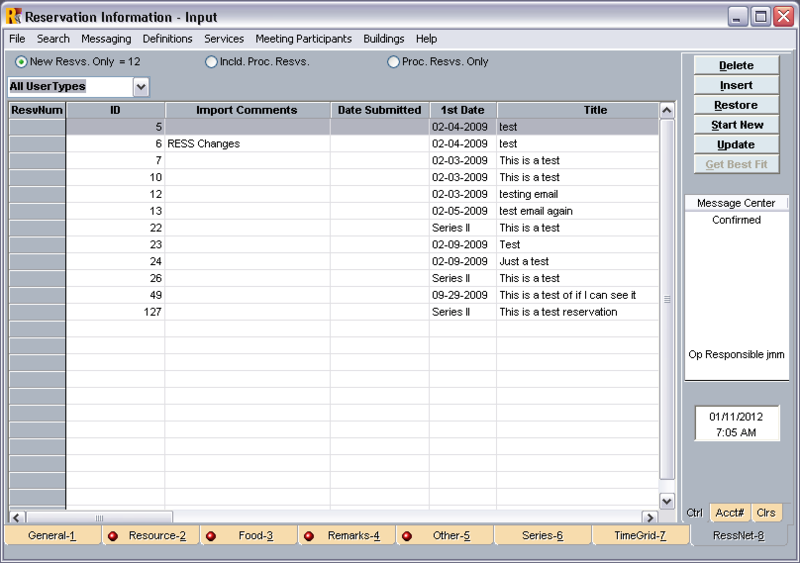 A click on the record retrieves the event from the database for approval.